This book develops academic understanding of Muslim urban space by pursuing the structural logic of the premodern Arab-Muslim city, or medina. 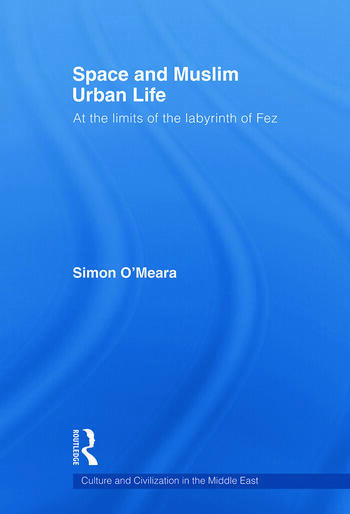 With particular reference to The Book of Walls, an historical discourse of Islamic law whose primary subject is the wall, the book determines the meaning of a wall and then uses it to analyze the space of Fez. One of a growing number of studies to address space as a category of critical analysis, the book makes the following contributions to scholarship. Methodologically, it breaks with the tradition of viewing Islamic architecture as a well-defined object observed by a specialist at an aesthetically directed distance; rather, it inhabits the logic of this architecture by rethinking it discursively from within the culture that produced it. Hermeneutically, it sheds new light on one of North Africa's oldest medinas, and thereby illuminates a type of environment still common to much of the Arab-Muslim world. Empirically, it brings to the attention of mainstream scholarship a legal discourse and aesthetic that contributed to the form and longevity of this type of environment; and it exposes a preoccupation with walls and other limits in premodern urban Arab-Muslim culture, and a mythical paradigm informing the foundation narratives of a number of historic medinas. Presenting a fresh perspective for the understanding of Muslim urban society and thought, this innovative study will be of interest to students and researchers of Islamic studies, architecture and sociology. Simon O'Meara is currently Assistant Professor of History of Art at the American University of Kuwait. He researches the sociological dimension of Islamic Art and Architecture, with a regional focus on the art and architecture of North Africa.